During the 2018 Year of Young People, NYCOS was in residency at the Edinburgh International Festival with no fewer than four performances. 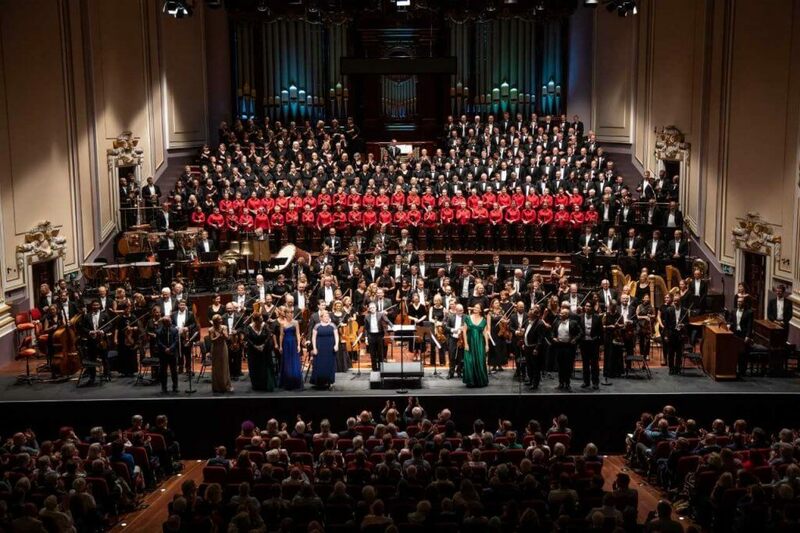 This began with the National Youth Choir of Scotland performing at the Opening Concert in Haydn The Creation alongside the Scottish Chamber Orchestra and soloists Sarah Tynan, Robert Murray and Neal Davies, under the baton of Edward Gardner. Last night’s Haydn Creation @edintfest was my first experience of @NYCoScotland. Wow! Simply stunning! 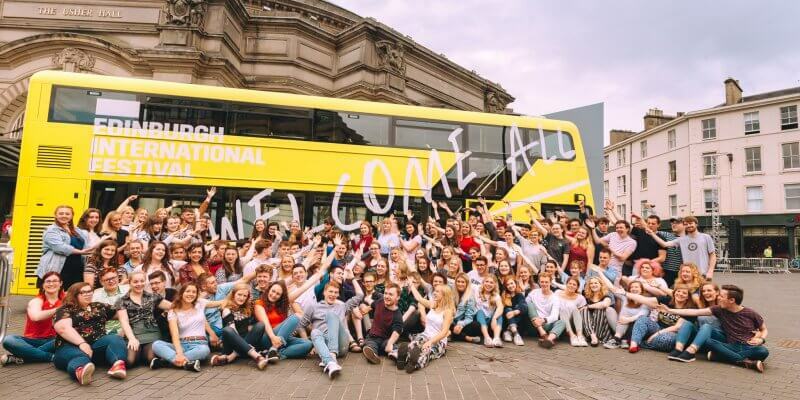 The National Youth Choir of Scotland also performed its own sell-out concert at the Usher Hall, conducted by Christopher Bell. The programme featured four works by Vaughan Williams, Tippett, Thea Musgrave and Eric Whitacre. We were delighted that singers from the National Youth Choir of Scotland were recognised with a prestigious Herald Angel Award for their outstanding performances, noted as ‘sensational in the opening concert’ and ‘terrific’ in their own a capella concert. Meanwhile, NYCOS National Girls Choir appeared in a concert performance of Humperdinck’s Hansel and Gretel. Wow!! Amazing performances tonight @usherhall @NYCoScotland @RSNO @edinfest Fantastic night ! https://t.co/ska7CoWBzv Opera few days from my 3 score and 10(allegedly)best Birthday present since my Davy Crockett hat when I was 10. The performance was incredibly moving a stunning cast,wonderful musicians superbly led,the icing on the cake such talented girls take a bow sir! We were delighted to hear that the concert performance was also a recipient of a Herald Angel Award. NYCOS National Girls Choir amazed again in the closing concert, Mahler’s Eighth Symphony.